White sand beaches. Ankle-deep warm water. Beautiful Florida sun. 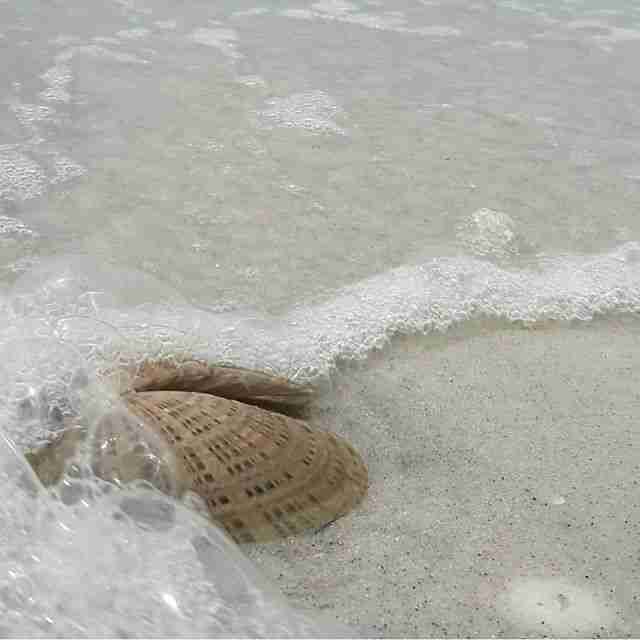 Shelling and beachcombing offer a great way to enjoy this Florida fun. Shells, starfish, sand dollars and other gems can be discovered on all of our beaches, but the areas that face north/south are the best for catching these prizes. Shell Island [south of Pass-a-Grille] offers an exclusive beach combing experience as it is technically only reachable by boa [if you bribe me, I can tell you about a route that is accessible by land that is totally free, though not totally legal]. Caladesi Island and Honeymoon Island to the north also offer great shelling; paid parking applies. While shelling is traditionally for old women or young children, the exhilaration of finding a huge conch, a perfect scallop or a shiny olive makes even the most masculine man beam with joy. Even if shelling gets tiresome, you can take a break to wade in the water, do some people watching and soak up the sun! Make sure you bring plenty of sunscreen, always do the stingray shuffle and pack some lunch/drinks in back pack. Let us know your favorite spots, and share your pics of your haul.